We need to know how Hydro-Quebec will meet all of its energy contracts. The U.N.’s Intergovernmental Panel on Climate Change report last week should put every planning decision in sharp focus. Ninety-one of the world’s top climate scientists say that we have about a decade left to radically change our consumption of fossil fuels or will face traumatic environmental and humanitarian consequences. Flooded cities, mass starvation and more frequent and severe storms are in the short term future if we don’t act now. This is the framework Maine regulators should use to decide whether to approve a 145-mile high-voltage transmission line that would cut across the Maine woods to bring Canadian hydropower to Massachusetts, connecting to the grid in Lewiston. 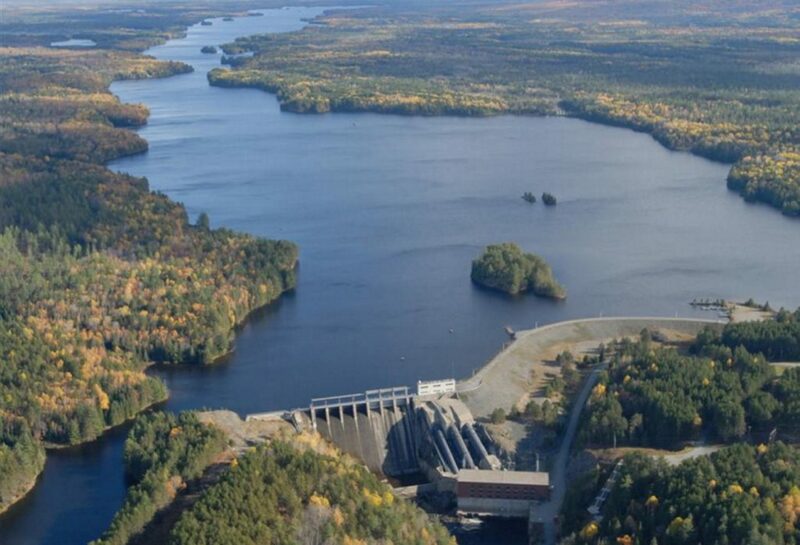 The power all comes from Canadian hydroelectric plants and has been purchased by Massachusetts to fulfill the state’s ambitious renewable energy goals. The project would be built by Central Maine Power’s parent company, Avengrid, and would have a number of environmental impacts in Maine, including a hard-to-hide crossing of the Kennebec Gorge. But given the urgency of the IPCC’s report, it should be a fairly straightforward process of weighing the environmental cost of the project against the catastrophic consequences of unmitigated climate change. The key piece of information in that equation is how much carbon pollution would it save? So far the answer is unknown. With at least one New England nuclear plant headed toward retirement, a steady supply of hydropower would offset the demand for the likeliest replacement for climate-friendly nuclear power, which is burning natural gas. But what if Hydro-Quebec sells its clean power to its customers in Massachusetts, and then reduces the amount of hydroelectric power it sells to other customers, causing them to burn more fossil fuels? It might improve Massachusetts’ clean-energy image, but the climate doesn’t care where the greenhouse gases enter the atmosphere. Without knowing whether there is a net gain on carbon emissions, it’s very difficult to weigh the costs and benefits of the whole package. The element of mystery in this situation is that Hydro-Quebec is not a party to the case. Central Maine Power is applying for approval, but it is a transmission and distribution company, not a power generator. CMP will cut down the trees and build the line. The commonwealth of Massachusetts can represent that it is paying for carbon-free hydroelectric power. But ultimately, neither entity will be a decision-maker in Canada when officials there decide how to fill the company’s contracts. According to CMP, Hydro-Quebec represents that it would send only hydropower to Massachusetts, but is that enough to take the deal? For regulators in New Hampshire, it was not. In their analysis of Northern Pass, another version of the plan to sell Canadian hydropower in Massachusetts, they found that they could not establish any net climate benefit because of the unknowns. The submission that’s before Maine regulators now is more complicated than this one question. And the opposition to the project is also less straightforward than it might seem. Alongside Maine people who are concerned about the effect on views and wildlife of a path cut through forest are the owners of existing fossil fuel-burning plants who are concerned less about the environmental impact than competition with Hydro-Quebec. But the climate issue remains the central question. On the game show “Let’s Make a Deal” contestants are asked to trade increasingly valuable prizes for something behind a curtain. The entertainment comes from the uncertainty: Will they go home with a new car or a donkey cart (complete with a donkey)? The climate impact of this project is like the prize behind the curtain. Before regulators can make a rational evaluation of the impacts of this project, the unknown needs to be revealed.